Seasons greetings my faithful farm followers, I trust this edition of The Daily Steward finds you happy and well! Call me a grinch, but I really don’t want to think about Christmastime things in any respect until we are quite clear of Thanksgiving. It irks me to no end how it seems the Christmas marketing gets going earlier and earlier every year. I fear that by the time I have children of my own that are old enough to appreciate the holiday festivities, Christmas music will start playing on the radio after Easter… That’s a tad cynical perhaps, but you get the picture. 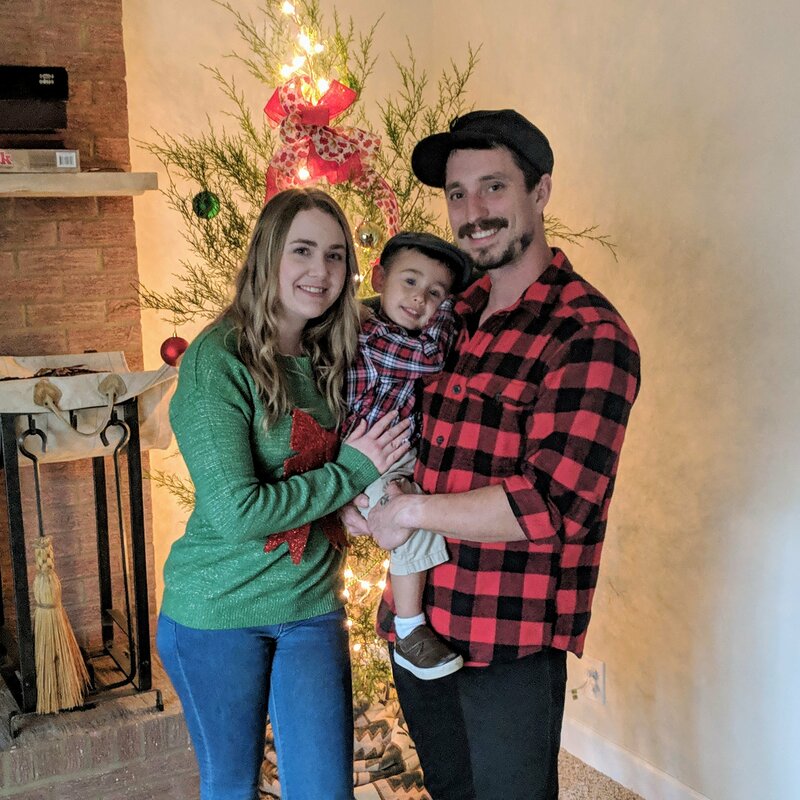 Ranting aside, my lovely lady friend, Sky, her son Elijah and I took some time out of our busy schedules to get the season going in a proper fashion yesterday. 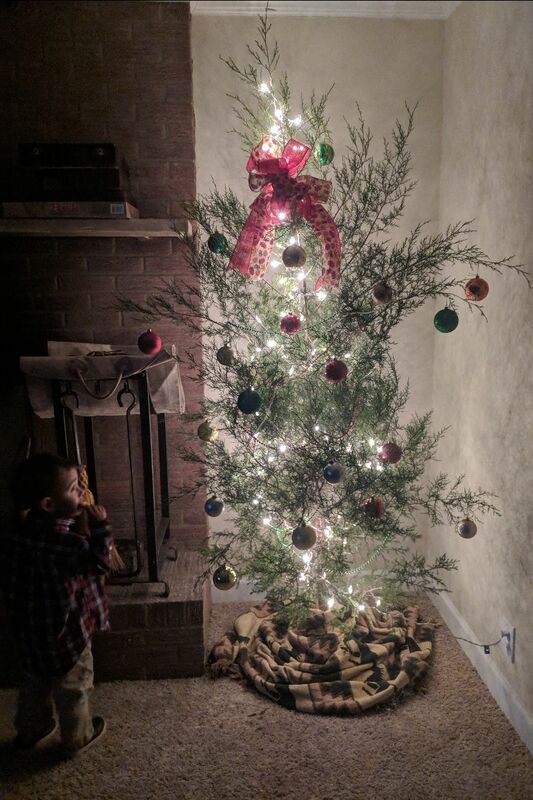 We went out on the property and chopped down a little cedar sapling and set it up in my living room, decorated with lights, garlands, ornaments and ribbons, and munched on sugar cookies, all to the dulcet tones of Elvis Presley’s classic Christmas album crooning in the background. It was sublime, I must say, and I can now say with all assurance that I am in the Christmas spirit! Rest assured, there is still work getting done here on the farm! My basement, which I think is better than a garage ten-, maybe twenty-fold, is really starting to get organized. Like those colorful orbs dangling from the limbs of the tree, each one of my tools is dangling from the pegboard above my workbench, each in it’s own place! How’s the saying go? A place for everything, and everything in it’s place! That’s the name of the game right now. Additionally, the trench has been dug for the well pump hookups, and the pipe to contain the wire will be laid today. This coming week I hope to build the 10′ washing table I’ve been talking about, and really get the walk-in concrete pad project moving along. Much to do, much to do! Still on the fence about signing up for the Street Fare Farm CSA? Well, what are you waiting for! How can you turn down the opportunity to receive the freshest produce you’ve ever eaten, produce grown locally with organic methodology that you can feel confident feeding to your family, never worrying about listeria on your carrots or e.coli in your lettuce, and having a personal relationship with the farmer that grows this food to address any needs or concerns, especially a farmer as charming and handsome as myself? It’s a win-win! AND, if you sign up and pay in full before January 1st, you will receive a $20 Gift Certificate redeemable at my booth at the farmers market at any time! Click HERE for more information! I do need to clear up some confusion about the Street Fare Farm CSA: there is a $20 deposit required with the price of the share, and this deposit is for the actual box that the share will be given to you in. I have to have 2 boxes for every CSA member, and they aren’t exactly cheap! This deposit will be returned at the end of the season provided each box is returned. So sorry that wasn’t so clear! I hope to see you all at the Piedmont Farmer’s Market on Winecoff School Rd. tomorrow from 9am til noon! It may be a little rainy, a little chilly, but I’ll have just the fix for that: microgreens and eggs! How appropriate. We’re supposed to get some snow (and ice) this weekend, which I’m actually stoked about, coming from a clime where snowy winters were a much more common occurrence, and honestly, I feel like snow makes winter more endurable. Come out an stock up on greens and eggs to last out the weather! Stay safe during the winter weather, maybe try to look at it like I do, as God’s way of giving us a little downtime to revel in the beauty of creation! Have a great weekend!